Join twenty-six-year-old Emily Castles for her first outing as an amateur sleuth. Emily is invited a party in a large house in London, hosted by a mysterious troupe of circus performers. She accepts, despite her misgivings, because her dog has died and she needs cheering up. But when she witnesses a murder in the midst of the surreal entertainment, no one will believe what she has seen. Is Emily befuddled with grief at the loss of her pet? Or has something wicked happened in plain sight? Emily teams up with her neighbours to investigate. Readers of M C Beaton or Alexander McCall Smith will enjoy discovering a new mystery author. Chosen as a “Book of the Year” by Elizabeth at The Frugal Ereader. 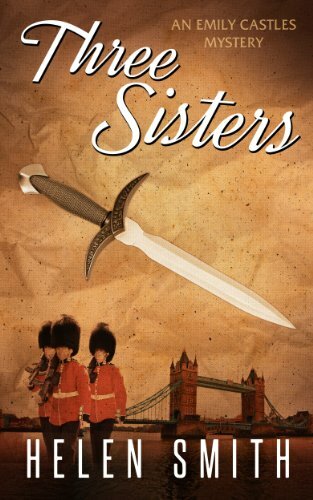 Three Sisters is a standalone story set in London. The Emily Castles mysteries can be read in any order. Helen Smith's books have reached number one in the Amazon store in the US, UK, Germany and Canada. Her books have appeared in "best of the year" lists by For Books' Sake, The Cult Den, The Independent, and the Guardian.